■ Chapter 1: Understanding Project Strategy. I am writing this chapter primarily for the project sponsor or executive team in order to detail the business and IT strategy issues, their relationships to projects, and, more importantly, the manner in which project management actually relates to this organizational strategy. Without a clear strategy, it is not apparent why projects are important to a business, and, as a result, many projects are either cancelled or face bitter consequences later on. ■ Chapter 2: Becoming an IT Project Manager. During this chapter, I identify what makes one project manager better than the next, by evaluating the attributes, characteristics, and type of person that makes an effective project manager. ■ Chapter 3: Project Concepts. I consider why a formal life cycle approach works best in the project management environment, as many businesses all have their own project methodologies and approaches. This chapter examines which one is better suited to a specific project. Once giving a complete explanation as to how the overall strategy drives project management, the book moves on to Chapters 4 to 9. These chapters focus on what you, as the project manager, need to do with your project team and stakeholders to ensure that the project goals are achieved and that the business benefits are delivered. Chapter 4: The Project Analysis. This chapter identifies and concentrates specifically on how and when a project actually starts. Do project managers simply jump in and run with the project or are there some formalities to consider before planning the project? Within this chapter I show the feasibility of a project right through to the approval of the project. ■ Chapter 5: Planning for Success. Planning a project can be demanding for any project manager who has never attempted to perform such a task. 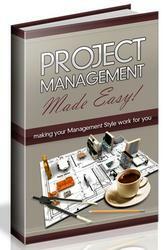 This chapter deals with the basic essentials of planning a project. Simply put, many project failures that occur today are due to failure of planning and estimation. This chapter presents ways to overcome these failures. ■ Chapter 6: Executing the Project. In this chapter I present how to execute a project with the project stakeholders, not forgetting the issues and pitfalls that need to be addressed during this phase. ■ Chapter 7: Controlling the Project. Controlling any project requires essential project management skills and techniques. This chapter examines how to control a project smoothly and in a timely manner during the various project phases. ■ Chapter 8: Implementing the Project. Within this chapter I identify and recognize the most important areas of project implementation. To implement a project based solely on a gut feeling is not good enough. Most of the failures that occur today are failures of implementation! ■ Chapter 9: Closing the Project. 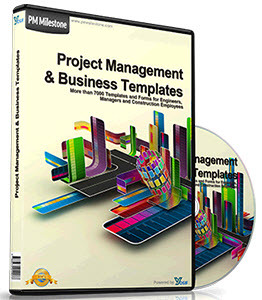 Within this chapter I specifically explore the practical requirements and issues that need to be catered to by the project manager when completing a project. This book is intended to be of significant interest to both the new and practicing IT project managers who are primarily interested in starting a IT project once they have been identified or have been assigned a project by management. Knowing which key areas and templates are needed and understanding what to do during each project phase (with the help of valuable project lessons learned) will go a long way in establishing your credibility as a project manager. To avoid any surprise on your part, let me state that my intention with this book was not to delve into the great depths of each knowledge area and technique (such as PERTS and Gantt charts), but rather to supplement it from a practicing perspective. I welcome any critique you may have. Let me conclude by insisting that we who are responsible for managing projects must do so with such uniqueness and diligence as to ensure that project management will continue to be seen as the key differentiator by which organizations want to deliver products and solutions. This publication is based on my experience, valuable client input, and discussions held with fellow project managers. The opinions expressed in this book are those of the author and do not necessarily represent those of RCG Information Technology, Inc. I hope that you will enjoy the manner in which this book is presented, with its logic, useful facts, findings, and applications for everyday IT project management.